The Irish Festival is an event entirely dedicated to Ireland and its culture, an event hosted by the new fair of Rome for a number of days filled with surprises. From the B&B Ad Maiora Rome St. Peter Vatican Museums is very easy and simple to get to the exhibition in Rome which houses the Irish Festival Rome 2016. Space for arts and crafts, cuisine and Irish beer to discover, taste and purchase. There will be performances by Irish dancing, music, games and special events that enliven this special festival. An extraordinary event, an atmosphere of joy, fun and passion from which it will be impossible not to get involved. A unique opportunity to get to know the traditions, music, gastronomy and folklore of this wonderful country. Also visit the many local markets with dozens of stands of Irish and Celtic products ranging from clothing to discs, from magazines to traditional crafts, from gastronomy to folklore etc. Let yourself be carried away by the magic of Ireland, dancing accompanied by the irrepressible cheerfulness of traditional music or, why not, enjoy some gastronomic delicacies of the rich repertoire of this extraordinary country: like beef and dark beer shank typical Irish traditional soups, grilled, smoked salmon, cheeses with herbs, Apple cakes and other delights watered from the famous dark beer and spirits. An event that will have you literally get your heart racing. 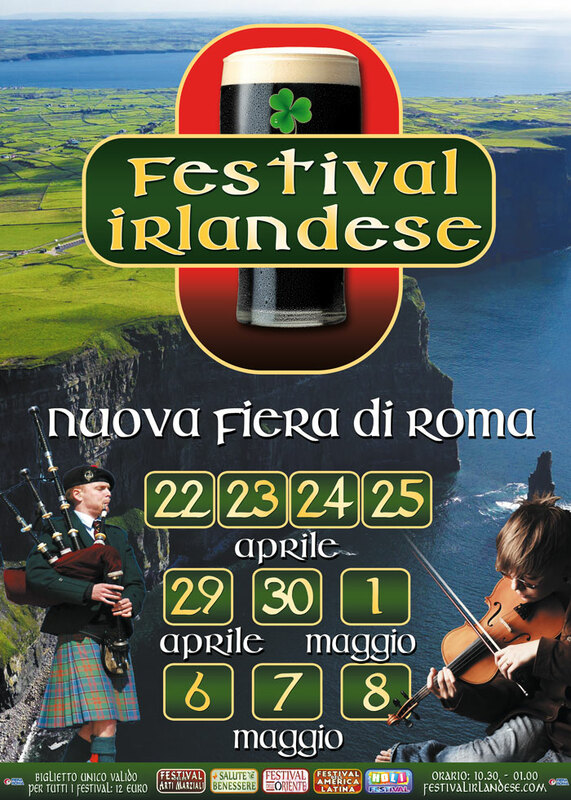 The Irish Festival Rome 2016 at the Rome fair will be held from 22 to 25 April 29 and 30, and the 1, 6, 7 and 8 May. See how easy it is to get to the fair from the B&B Ad Maiora Rome St. Peter Vatican Museums !